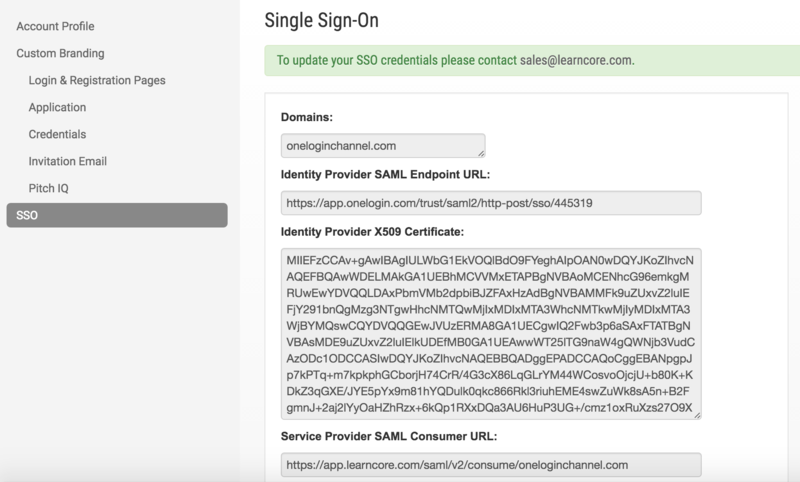 This topic describes how to configure OneLogin to provide SSO for LearnCore using SAML. Search for and select the LearnCore connector. Go to the Parameters tab and map LearnCore attributes to OneLogin attributes. In most cases, you should accept the default values. Ensure that the LearnCore fields are set to the values that appear below. 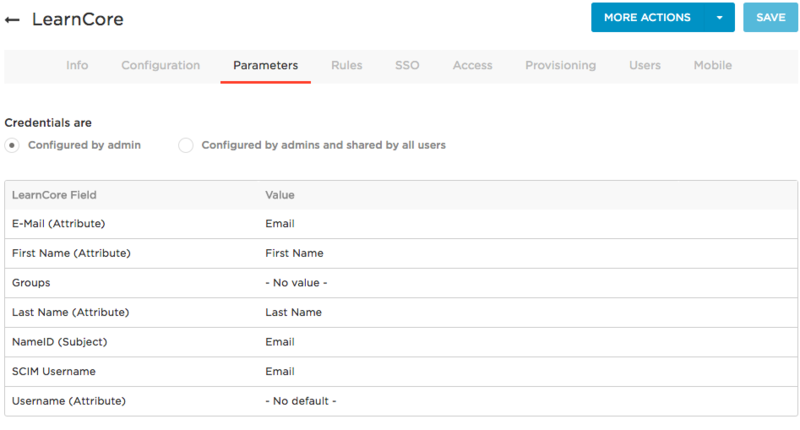 Go to the SSO tab to retrieve the values that you will need to send to your LearnCore support team to set up SAML SSO. Copy the SAML 2.0 Endpoint (HTTP) value and the X.509 Certificate and email them to your LearnCore support team. To get the X.509 Certificate, under the X.509 Certificate field, click the View Details link. This creates a pop-up window. Copy the entirety of the X.509 Certificate, including "----BEGIN CERTIFICATE----" and "----END CERTIFICATE----". 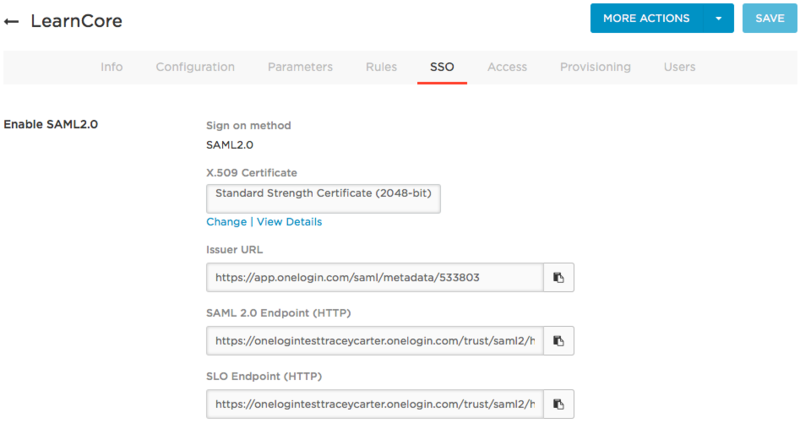 Once you have sent your SAML SSO values to LearnCore and they have been applied, your LearnCore Single Sign-On tab should appear as follows. On the OneLogin Access tab, assign the OneLogin roles that should have access to LearnCore and provide any app security policy that you want to apply to LearnCore. Ensure that you have a user account in both OneLogin and LearnCore that use the same email as the username. Make sure you are logged out of LearnCore. Click the LearnCore icon on your OneLogin dashboard. If you are able to access LearnCore, then SAML works.